"In contrast to theme parks and beaches lies a rural Florida defined by a river that flows through the cultural and physical landscape of legends and song that tell the story of Florida. 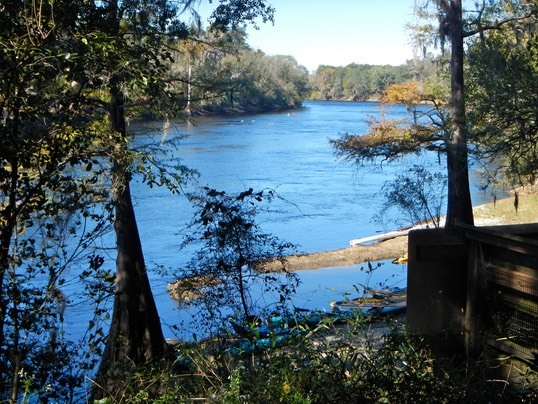 That river is the Suwannee, identified forever with the Old South by Stephen Foster's song 'Old Folks at Home.'" from Suwannee River Wilderness Trail Home Page. 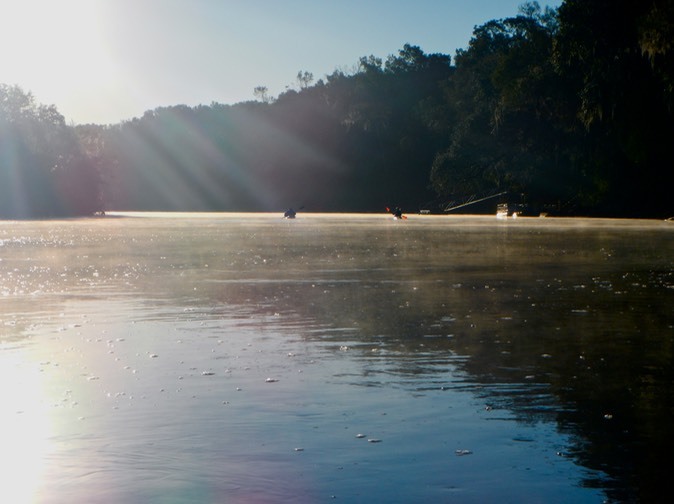 The Suwannee River is one of the last wild, never damed or channelized rivers in America. It is rural and wild. Yet the state of Florida has made it easy for adventurous folks to experience the river in relative comfort. Go to the Suwannee River Wilderness Trail web site for complete information on paddling this unique river trail. Narrative Trip Report: I have paddled parts of the Suwannee River several times before and the whole river once. I joined this Paddle Florida trip specifically because it began on a tributary of the Suwannee River, the Withlacoochee, a river I had never paddled before. Our paddling group was to meet at Madison Blue Springs State Park in Florida's Madison County, Part of the Suwannee River Water Management District. This meant a four hour plus road trip to get to the Shriner's Club in Branford ( our trip's end point) where I would drop my car and shuttle with my boat and gear an hour more to Madison Blue Springs. We would camp there and launch the next morning. I left home at 7:30 with Hurricane Sandy roaring off shore, worried about leaving Lisa to take care of the house by herself and at the same time wondering if it was crazy yo head out on a kayaking trip with a hurricane in the neighborhood. Heading up Interstate 95 with the boat in J-racks on top of the car, we were buffeted by strong side winds that caused me some worry as I watched the boat seem to twist in the racks. But, I arrived in Branford without any damage. The spring at Madison is a magnitude one spring, pouring over 64.6 million gallons of water out of the ground and into the Withlacoochee each day. The spring run is so fast that it can knock swimmers off their feet and carry them into the river! The spring rise is beautiful with a large swimming area and underwater cave system. After setting up camp and exploring the park, we had a great dinner from one of the best caterers Paddle Florida has used. I had a warm night with no noticeable effect from Hurricane Sandy. Stopped Time: 15min 3 sec. I launched at about 8:30 and was immediately struck by the beauty of the Withlacoochee. The river is lined with limestone and sand cliffs, some 20 feet high (that's high in Florida!). Florida limestone resembles swiss cheese. It is full of holes which is why the Floridan Aquifer can hold so much water. 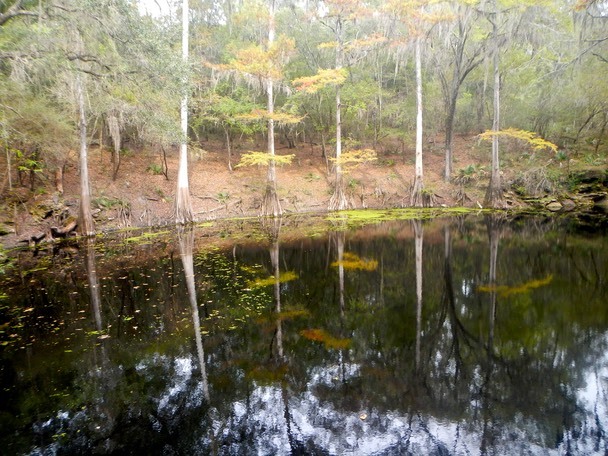 In addition to the Madison Blue Spring, I saw three others on my trip down this river to the Suwannee. I paddled much of the way with Ellie, someone I had met on another trip. Unlike so many of the others on this trip who like to talk their way down a river, Ellie is a quiet paddler. Long periods of silence while we listened to the wind and birds and the sound of paddles dipping into the water were punctuated by occasional bouts of conversation. We arrived at Suwannee River State Park around 12:30 PM, had lunch, set up camp and hit the showers! Later, Ron, Andrea and I hiked the Lime Sink trail to a wondrous place of old sink holes and lime stone formations with an honor guard of tall Bald Cypress trees ringing the sink. Stopped Time: 10 min 49 sec. It was colder during the night. Still it was about fifty degrees when I arose at 6:30. I launched at 8:30 into a day that was gray clouds with the sun occasionally punching through. But by 9:30 the sun was gone, the sky was a cold gray and, thanks to Sandy, a strong wind had developed. Cold, I pulled over to put on a sweater for warmth. The river was quiet and serene, beautiful and eternal in its elemental beauty. I was paddling pretty fast without really knowing it. 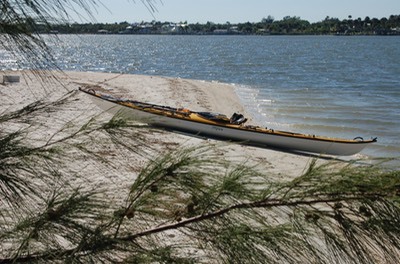 The combination of river current and wind had me paddling at four miles per hour or more, without much effort. Before long I had caught up with the lead group. I stayed with them for a short time. These are good people who were enjoying the river in their own way. But they were incessant talkers, filling the air with noise, seemingly unaware of the beauty surrounding them. So I paddled on ahead to recapture the peace of the quiet river I so enjoyed. I stayed ahead of the talkers all day. Every time I started to hear their voices, I'd paddle faster until the voices faded and I was surrounded by the peace of the river again. As far as I was concerned, there would be plenty of time to talk in camp. I noted the location of a place I had camped with Scott and John on that earlier trip. It was an "unofficial" campsite at an abandoned boat ramp and picnic area in a state forest. The GPS coordinates are N 30 18.15', W 83 13.47' FYI. I was the first to arrive at Dowling Park River Camp. 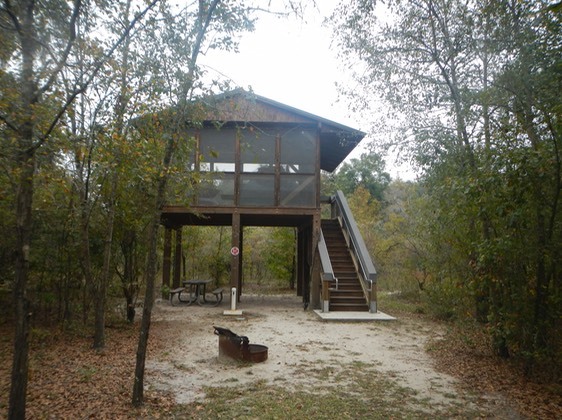 The River Camps are part of the Suwannee River Wilderness Trail and can only be accessed from the river. The Neither Bill or Jan were anywhere to be seen, so I pulled by boat ashore and walked into camp. I found them sitting around a camp fire ring. Bill asked if I wanted to be in a river camp screened platform. I said no, I'd rather be in a wilderness campsite in my tent. We expected forty degree temperatures at night and I thought my tent would be warmer. Stopped Time: 28 min 0 sec. It was a cold night, in the low forties. But as predicted, I was snug and warm in my tent, which stays about ten degrees warmer than the outside temperature. I crawled in early after an interesting evening presentation on the Suwannee River Water Management District. 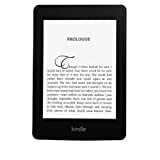 I sorted gear, read from a book on my Kindle and did several sudoku puzzles on the Kindle as well before falling asleep. We had been getting into camp so early in the day that Bill decided to make breakfast and our launch a bit later in the morning. I launched about 9:15. With the temperature about forty-five degrees and the wind blowing at fifteen miles per hour, gusting to thirty, I needed to dress warmly. I wore only swim trunks and water shoes on my lower half. But that part of me would be warm inside the boat and under the spray deck. On my core I wore a T-shirt, a long sleeved zip neck shirt, a light weight polartec sweater and my paddling jacket. To this was added the tunnel of my spray deck, my PFD and a wide brimmed hat. In this gear I was warm enough, but not too warm. We had passed through several areas of swift water by our third day. I had gotten through most of them mostly unscathed. But not today. I bumped on a couple of rough patches and worried about what was happening to my gel coat. Then I got sucked into the big one, sucked in sideways as I tried to maneuver toward deep water. I hit a just submerged rock hard and hung up, stuck there as my boat slowly began to swing around, ending with my bow pointing upstream and my stern pointing in the direction I needed to go. Then the boat slowly slid off the rock with a sickening scrape. Unable to turn the boat to face downstream in the fast moving water, I paddled backwards through the swift water, while looking over my shoulder. Somehow I managed to avoid any further hits. But I refused to look at the bottom of my boat till I got home (See my report on gel coat repair). Later I stopped at Alan Mill Spring Run. The spring run looked like a creek entering river right from under low bushes. The map indicated a good place for a rest stop, just passed the run. I was ready for a break and was in no hurry to get to camp, so I pulled over looking for a good spot to land. Nothing looked too good. But I pulled parallel to shore and stepped out, immediately sinking into knee-deep river mud. I managed to extricate myself and pull my boat ashore, my feet and legs coated with stinking river mud. I hiked up the bank and found a small park with tables and a trail leading along the spring run. I guess this is what made it a good “rest stop” in someone’s eyes. I worked my way down to the spring run and washed the mud from my legs and feet. The run was beautiful. I followed it for a while but never found the spring before I returned to my boat and the unpleasant task of launching from that spot. I again sunk up to my knees in the mud. Thankfully, Scott C. came along and steadied my boat so I could use it to lever myself loose and get back into my boat. I arrived at Lafayette Blue Springs State Park around noon. It was cold at the park, cold at dinner and even colder when Tom Shed performed for us. The wind was relentless. Poor Tom was playing his guitar with numb fingers. It was a good show that we all enjoyed. But as soon as it was over, most of us headed for the warmth of our tents, while a few hearty souls huddled around the campfire, turning themselves like pigs on a spit to warm every side. Tom Shed "Florida State of Mind"
Stopped Time: 39 min 5 sec. It was even colder last night. After Tom’s performance I sat in my tent reading with my body wrapped in polartec, a watch cap on my head, and long johns under long pants on my lower half, which was also stuffed into my sleeping bag. But I was warm enough over night when the temperature inside my tent registered fifty degrees, and even over morning coffee when the temperature registered a chilly forty-one degrees! Peacock Slough is one of my favorite river camps (Click here to see previous report). Where it sits on the river and the way the slough enters the Suwannee is really beautiful. Jan had a fire going in the fire pit with a group of cold paddlers circled around, warming themselves. I paddled by more springs before reaching Suwannee River Rendezvous campground, arriving about 1:30 PM. I set up camp and showered before hiking around the camp. We had a warm meal that night. Of course the food was warm, but we were also inside a warm cabin where we got our first news of what Hurricane Sandy had done to New York and New Jersey. Several of us have family there so we all began trying to find out if they were OK. Later we had great entertainment from Grant Peeples. I can’t tell if grant is old country, as in Johnny Cash and Hank Williams Jr. (yes), or Folk, like Bob Dylan (yes too), or even a little bit like the older Leonard Cohen or Joe Cocker (somewhat). Anyway, I liked his stuff and bought his CD’s. Here’s an excerpt. Stopped Time: 28 min 40 sec. Somehow the last day of a trip is always a blur to me. Maybe that’s because I don’t seem to have time to make notes about what I did or what I saw, or maybe it’s the old horse seeing the barn and running for it routine. In any case I have few details about the day other than it was warmer on the water, the river was to my mind less interesting than earlier sections, there were more signs of civilization (we saw our first powerboat on the water) and it was our longest paddle (over 16 miles). We went back to our early departure schedule because of the longer distance and the need to get people on the shuttle back to Madison Blue Springs fro Branford. I was on the water by 8:30. We stopped for lunch at Little River Springs after eleven miles of paddling. 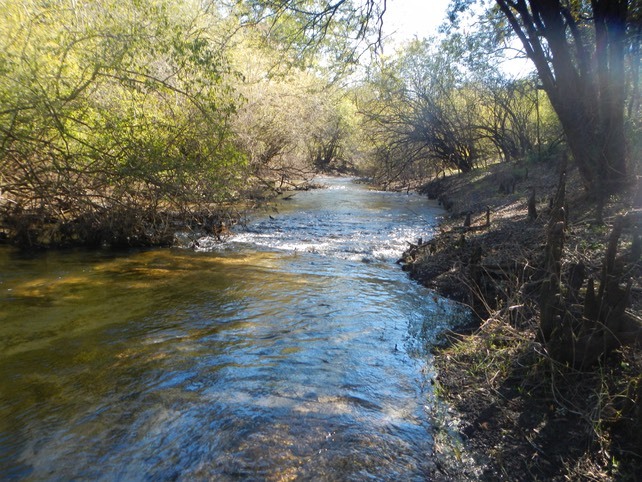 This si a beautiful little spot with a pretty spring and short but swift spring run. We had a barbecue waiting for us in Branford, so after eating a banana and a traditional Moon Pie (why does anyone eat Moon Pies? ), I was back on the water for the home stretch and the last five miles of the trip. Bust before landing at the Ivey Memorial Park boat ramp, I spotted the Branford Spring and spring run. I poked in for a quick look. Then it was land, get the boat ashore, start to pack up, then go for the car at the Shrine Club. But first, the barbecue!